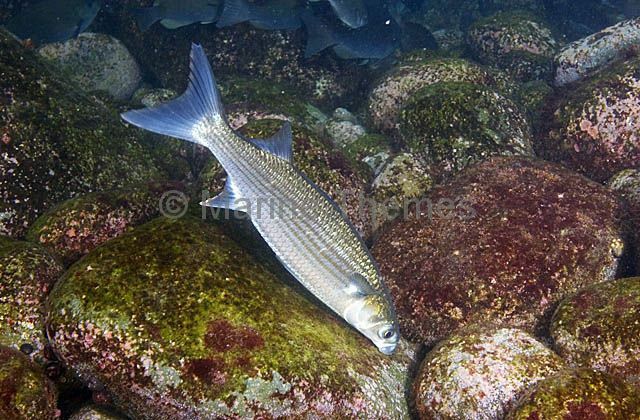 Flathead Mullet (Mugil cephalus cephalus) feeding on algae in shallow water. 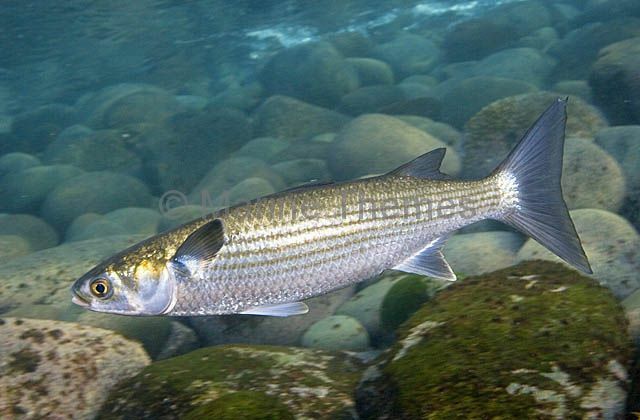 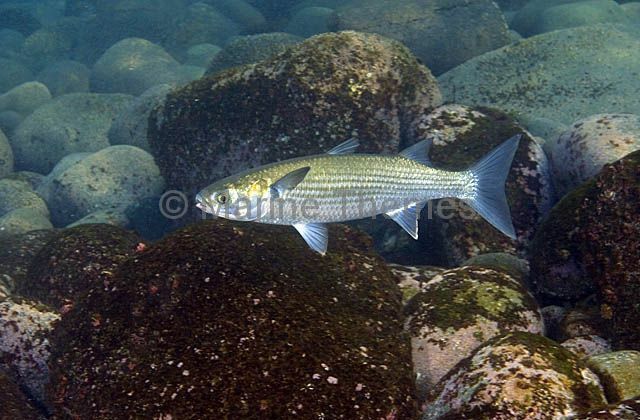 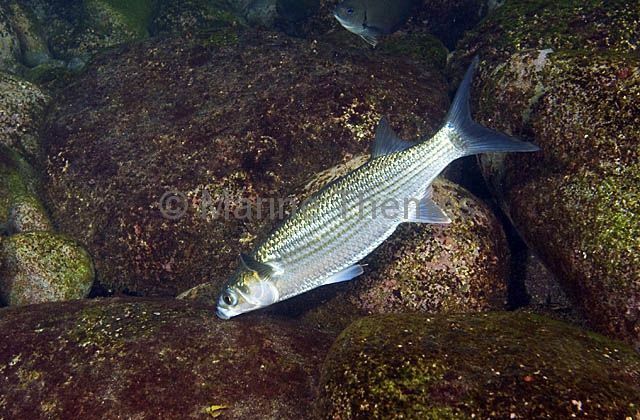 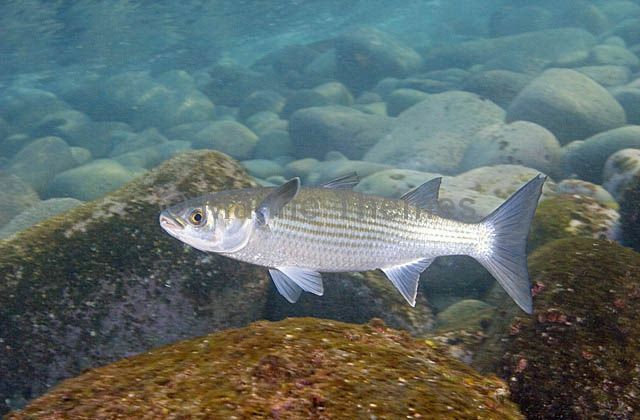 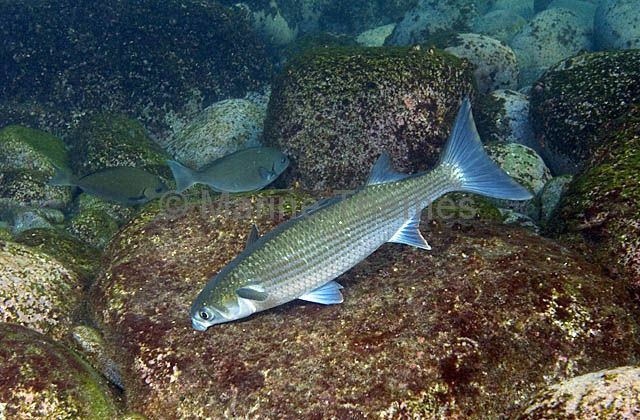 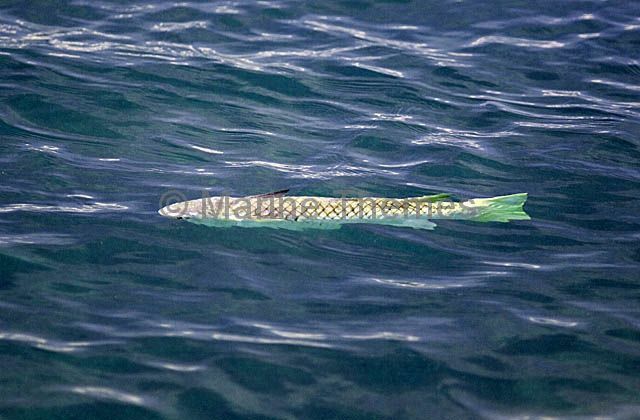 Flathead Mullet (Mugil cephalus cephalus) swimming over rocky reef. 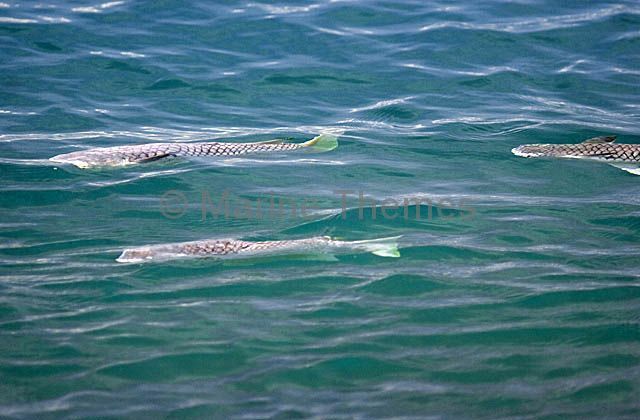 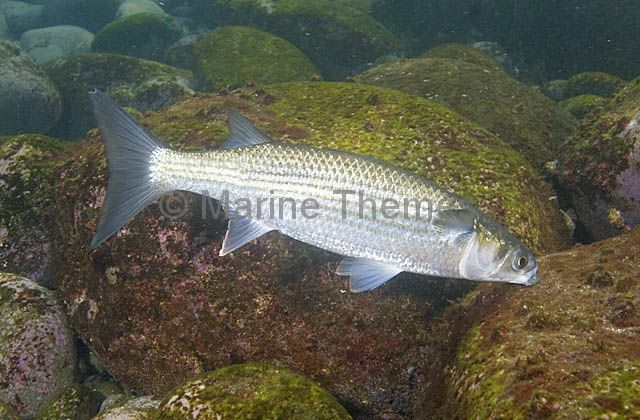 Flathead Mullet (Mugil cephalus cephalus) grazing on algae. 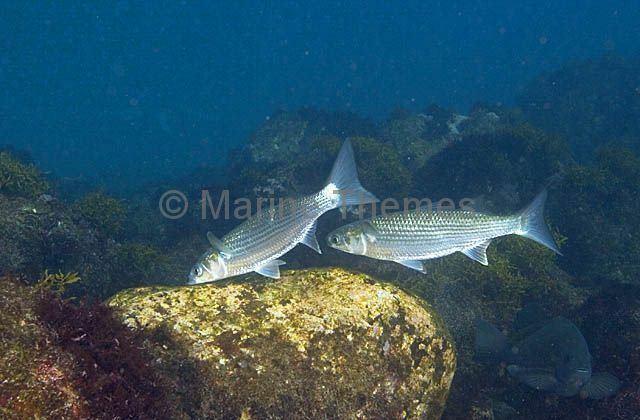 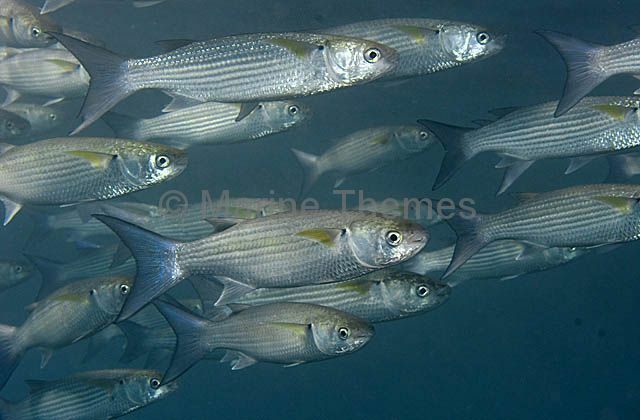 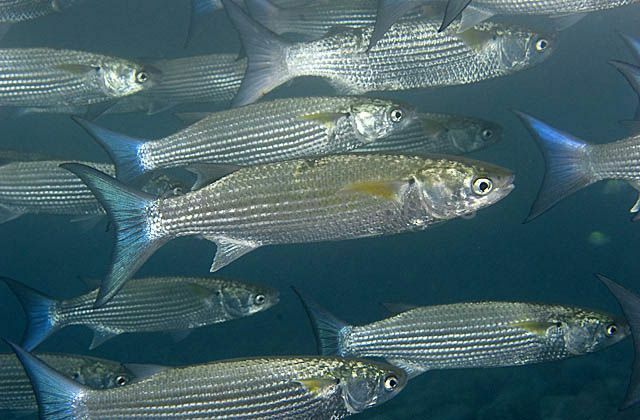 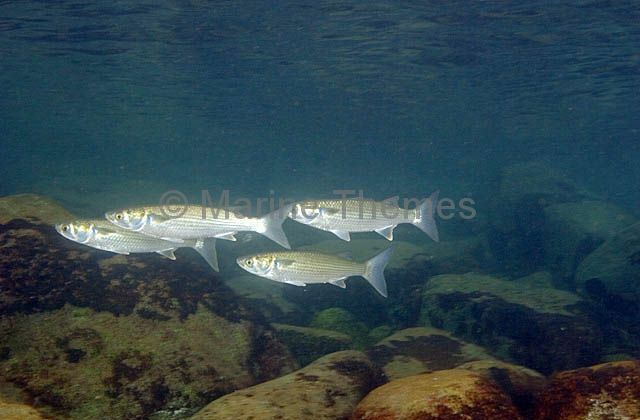 Flathead Mullet (Mugil cephalus cephalus) schooling over rocky reef. 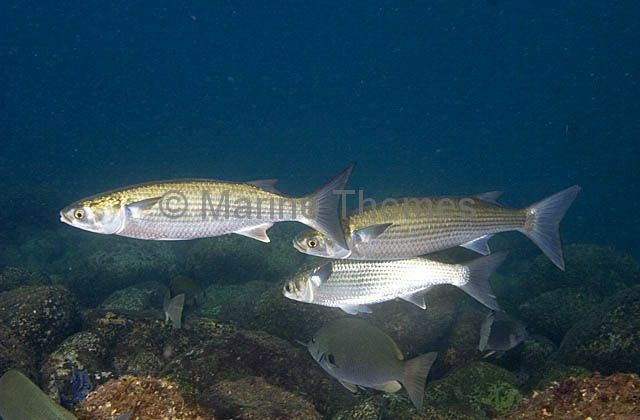 Flathead Mullet (Mugil cephalus cephalus) feeding at the surface.